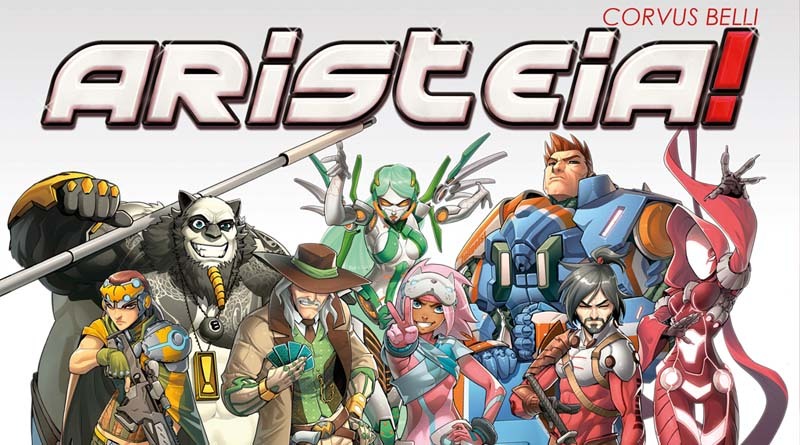 I’ve taken advange of a good Black Friday deal, and I got the chance to get in my greedy evil hands a box of Corvus Belli’s new board game called ‘Aristeia!’ (just like that, with the exclamation sign and all), which simulates a fictional sports show broadcasted over the whole Human Sphere from Infinity’s lore. On Aristeia! (A! for short) two teams of 4 aristos fight to lead their team to victory on a fast and furious futuristic gladiator arena. But to make it more appealing to the broad audience, there’s no lethal weapons nor ammunition, and all the challengers can recover from their wounds… Or most of them at least. Here’s the first crew of aristos posing for the cameras. I really love the snake head look her visor has. I also had to model her non existant right ear, and also cave him his scar on his left cheek. And yes, after taking the pictures for this post I realized I didn’t finish her right hand. Too late for this I guess. And thas all for today’s Aristeia! post. I hope you all got good ideas about how to improve your miniatures for this great Corvus Belli’s board game.